"There are a ton of Twitter sites aiming to attach a Twitter rank to a user profile, and frankly most of them are spotty at best. Follower count in my opinion is one of the worst metrics to go by with Twitter, and unfortunately that is a main cornerstone to many of the Twitter ranking systems out there." "Imagine a fleet of sea-worthy vessels being able to deliver computing needs to people without having to send information cross country, but rather anchored on the seas nearby. Now consider data centers on those ships being powered by the waves and cooled by the waters. "The Google Webmaster Central blog notified us that Googlers have presented a new study on Sitemaps at the WWW’09 conference in Madrid. The study is absolutely interesting and I recommend printing out the ten page PDF document and reading it. For those of you who don’t have time for that, I hope to highlight the most interesting findings from the study below." Getting involved in Social Media can be intimidating. So much so that you might not know where to even begin. There is Facebook, MySpace, Twitter, Plurk, Mixx, Digg. There are blogs, forums, wikis, photo sharing, vlogging (video blogging), and others. They are all different, so which do you devote your time to?" "Yesterday a phishing scam spread across Facebook in the form of a message form a friend asking you to click on a link which took you to what appeared to be a Facebook login, but was actually at a different URL, http://fbaction.net. It was quickly blocked. But now there seems to be a new one linking to http://fbstarter.com/. It comes in the form of a message from a friend telling you to “Look at this!” When you click on the link, you are taken to what appears to be a Facebook sign-in page. If you go ahead and sign in, the phishers have access to your account and can then send messages to all of your friends." 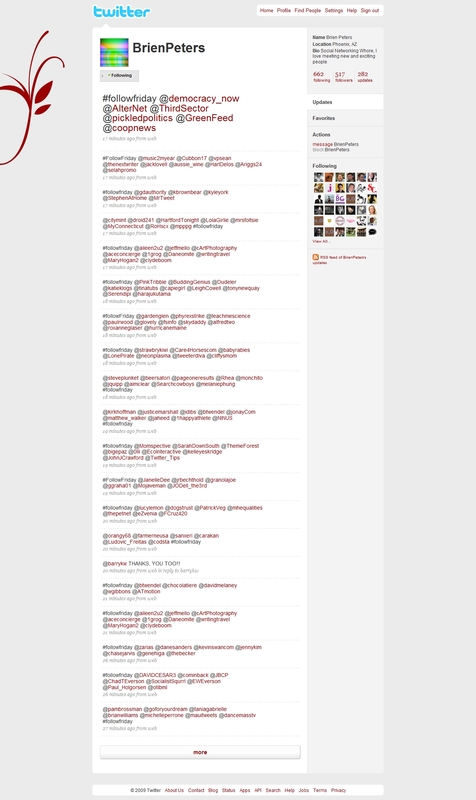 HACKED - Screenshots of Twitters Admin. Check out these screen shots of the admin screens w/ addresses. "Here’s a great list of 122 social media sites for your leveraging pleasure." "In 1997, IBM’s Deep Blue computer beat reigning World Chess Champion Garry Kasparov in a classic machine-vs.-human competition. In a similar step, IBM now is having its “Watson” system compete with human contestants on the game show 'Jeopardy.'" "The executive in charge of Google Inc.'s global display-ad business is leaving the Internet company, the latest in a series of executives to depart in recent weeks. The departure of David Rosenblatt, the former chief executive of display-ad technology group DoubleClick, is a setback to Google, which has said that making inroads into the display advertising market is a top strategic priority. Mr. Rosenblatt is leaving because he would like to run a company, say people familiar with the matter, who add that he has yet to formalize specific plans. His departure was reported earlier by The New York Times." "The importance of running advertising campaigns both on television and on the Internet was underscored by a new survey that shows viewers spend a significant amount of time surfing the Web while watching primetime programming. “This trend of going online while watching primetime television represents a significant opportunity for advertisers who want to target viewers with a message to visit content online,” said Matt Reid, director of strategic initiatives for Integrated Media Measurement Inc. “The landscape is moving at a steady pace from multiplatform advertising to simultaneous multiplatform advertising.”"
"NEW YORK Beware of chief financial officers at Fortune 1000 companies. They tend not to be big fans of spending money on advertising and marketing. That's one lesson to be drawn, anyway, from a survey conducted by DiMassimo Goldstein among CFOs at such companies. Not surprisingly, few of the 142 CFOs responding to the survey (conducted earlier this month) said their company's chief marketing officer has a bigger budget to work with this year. Forty-four percent said the CMO's budget is smaller and 38 percent said 'we're keeping a close eye on it,' while just 12 percent said the budget is larger. (The rest gave some other response.) What's more striking is that 60 percent of the CFOs answered 'no' when asked, 'Should your CMO have a larger marketing budget this year?' Just 22 percent said the CMO should have more money to work with." "Here are 10 really good reasons predictive analytics can help your business. Predictive analytics is a powerful tool that helps organizations solve key challenges by using business knowledge to drive efficiencies and strengthen their competitive advantage. Read this best practices paper and you'll discover ten ways predictive analytics will make it easier for your organization to:"
"For decades, Harley-Davidson has been singled out as one of the strongest brand names—in an exclusive circle of cult brands including Apple and Mini. But how does the marketing arm of the Milwaukee, Wis.-based manufacturer drive sales leads into its 650 independent U.S. dealerships? And how has the brand parlayed its audience’s rare offline devotion into an interactive marketing success story?" "Marketers consistently pick up their best lessons in times of crisis. We think differently about ROI. We act more intuitively. We become more agile and flexible. We 'sense and respond.' We really don't have much of a choice but to act and not allow yesterday's rules to justify complacency." "It’s a question that comes up often and most people asking it expect that there’s one right answer. The trouble is, as web sites and situations are different, so is the “just one thing” answer. It really depends on the situation. Picture this: A web site with 10,000 pages, 6 years old, 25,000 inbound links and publishes new content daily. Yet the site gets less than 5% of all traffic via organic search. Why might that be?" "Social Media is basically communication online. That doesn’t sound too complicated, huh? But for many beginners it can be. There are many different forms of Social Media… many different ways of communicating online. "For search marketing industry veterans, SearchEngineLand Editor-in-Chief Danny Sullivan needs no introduction. If you’re among the veritable legions of marketing professionals joining our ranks from traditional advertising trades, soon enough you’ll know his impeccable journalism and commitment to community. Considered a founding “search engine guru,” Danny has been demystifying search engines for marketers, webmasters and users for well over a decade. His insight and expertise are regularly sought by mainstream media outlets including USA Today, The New Yorker, Forbes, The Wall St. Journal, The Los Angeles Times, ABC’s Nightline, Newsweek." "MySpace and CitySearch recently made big waves in the Local Search and Social Media community with the announcement of MySpace Local. The two companies agreed to a revenue share but no details were released as to what percentages each company would receive. MySpace quickly stressed that this was a completely new revenue source for the company and was not only seen as great opportunity for both companies, but one of the few advantages MySpace would have over rising competitor Facebook." "Conductor, a New York-based provider of SEO measurement and optimization solutions, has raised a Series B round of funding to the tune of $10 million, led by Matrix Partners and joined by FirstMark Capital, who led the startup’s Series A financing." "Love.com is a mashup of remixed twitter posts, youtube videos, aggressive 3rd party content snippets, automated cross linking, frame-jacked 3rd party content, pop-ups, automated subdomain spam, all pushed on a purchased domain name that had existing links." "i heard it through my man p1r 1st; his man, phil yeh, requested it a little over a month back. i just googled my name, and i saw the meta description populate the snippet. "Microsoft Corp. and Verizon Wireless are in talks to launch a touch-screen multimedia cellphone on the carrier's network early next year, in an ambitious effort to challenge Apple Inc.'s iPhone, according to people familiar with the matter." "SAN FRANCISCO — The Justice Department has begun an inquiry into the antitrust implications of Google’s settlement with authors and publishers over its Google Book Search service, two people briefed on the matter said Tuesday." "U.S. Rep. Barney Frank, chairman of the House of Representatives Financial Services Committee, said on Tuesday he would introduce a bill next week to overturn a three-year-old U.S. ban on Internet gambling. The legislation, likely to be opposed by anti-gambling Republicans, would overturn a law imposed during the Bush administration that has hurt U.S. trade ties with the European Union. Frank said the bill was being drafted this week." "Facebook Inc. has sufficient funding to overcome the economic slump and is adding new forms of interactive advertising that will boost sales 70 percent this year, Chief Operating Officer Sheryl Sandberg said. “We could not be doing better financially,” Sandberg said in an April 24 interview. “We absolutely do not need to take money. We might take money -- but it doesn’t mean we need to.”"
"WASHINGTON (AFP) - More than 60 percent of Twitter users have stopped using the micro-blogging service a month after joining, according to Nielsen Online research released on Tuesday. 'Twitter has enjoyed a nice ride over the last few months, but it will not be able to sustain its meteoric rise without establishing a higher level of user loyalty,' said David Martin, Nielsen Online's vice president for primary research." "It’s been a big week or two for News Corp's social networking site, MySpace. Founding CEO Chris DeWolfe was bounced. A new CEO, Owen Van Natta, was brought in six months after he'd left rival Facebook and started Monday. Now only one big question looms: With no buzz factor, low scores for “user trust” in online surveys and a reputation as a hangout for disaffected teenagers, is MySpace still viable as a broad-based, come-one-come-all social network?" "SAN FRANCISCO (AdAge.com) -- Since leaving his post as sales chief of Google to run AOL, Tim Armstrong has kicked off a review of the long-ailing internet icon's vast array of brands, with an eye toward creating a simpler experience for both consumers and the ad community." "AOL ad revenue dropped a startling 20% in Q1. For the first time, cost cuts did not keep up with revenue declines, so EBITDA also plunged, to $255 million." Can MySpace Ever Be Our Space Again? "The last time MySpace got this many headlines was probably when Facebook was still limited to people with .edu email addresses, but for the last month, the news has been flying fast and furious. March 27 -- Former AOL chief Jon Miller heads to News Corp. in the new position of chief digital officer. His primary mission? To fix MySpace. April 23 -- Miller hires former Facebook COO Owen Van Natta as the new CEO of MySpace, as founders Chris DeWolfe and Tom Anderson leave the company. April 28 -- Van Natta hires former AOL exec Michael Jones as chief operating officer, replacing Amit Kapur, who left in March, and Jason Hirschhorn as chief product officer. Hirschhorn is best known for having been chief digital officer at MTV Networks." "There are certain skills that you must firmly grasp before you tell folks you're an internet marketer. If you don't, and I hear you tell someone 'I'm an internet marketer! ', I'm going to stalk you in my Toyota Prius and pin you to a fence." MySpace SEO, FAIL... kinda like the network itself. "Nielsen this week will begin measuring the Internet usage of some members of its national TV ratings sample, and if the controversial test goes well, plans to make a decision this fall to expand the integration of TV and Internet measurement beyond the limited test sample to 'build a foundation for the inclusion of online viewing in our television currency.'" "With opponents to the ambitious Google Book Search settlement continuing to emerge, Google as well as authors and publishers have asked for a two-month delay in the search case. 'The settlement is highly detailed, and we want to make sure rightsholders everywhere have enough time to think about it and make sure it's right for them,' Google associate general counsel Alexander Macgillivray wrote Monday on the company's public policy blog." "Transforming the world of online media and marketing, technologies that enable a portable identity will soon allow consumers to bring their identities with them across the Web, according to a deep-dive study on the future of social media from Forrester Research." "Yahoo announced Monday that Mitch Spolan has been named vice president of North American field sales as part of an effort to centralize its sales structure for the region." "FetchBack is expected to release data Tuesday showing that its retargeting technology outperforms paid search in tangible returns on the dollars invested in each. Comparison tests done by the ad retargeting company delivered between 74% and 112% higher return on investments (ROI), compared with paid search campaigns." "As everyone now knows, it doesn't take much to damage a brand in today's world of powerful social media tools. The scope, reach and speed with which harmful content can ricochet around the Web are truly alarming. Just like the Somali pirates at sea armed with automatic weapons, disgruntled users can leverage social media to hijack your company and take everyone aboard hostage." "NEW YORK Anomaly has introduced its latest foray into product development with the introduction of a cosmetics line backed by an unlikely YouTube star." A new, smarter Google News? "Google may be working on a new, intelligent news distribution system, according to Sharon Waxman, a reporter for Hollywood newsblog TheWrap. She approached chief executive Eric Schmidt at a soiree thrown by Arianna Huffington last week, during which she says Schmidt confirmed the development of a platform “that will bring high-quality news content to users without them actively looking for it.” The news feature would launch in about six months." "What are people saying on Facebook about the swine flu? Facebook knows, but they won't tell you. The company made a major move today to open up some of the data on the site in some interesting ways - but the conversation on Facebook remains fundamentally closed due to extensive privacy limitations and the company's disinterest in overcoming those limitations in an appropriate way." "On Monday, the world’s largest social networking site opened parts of its code to the public. Now, third-party developers can build Facebook applications that will let users post status updates, share pictures and links, and interact with most other elements of the site without ever visiting Facebook.com. Apparently, the company is prepared to lose gobs of traffic and, in turn, revenue from display ads on the site." "SAN FRANCISCO -(Dow Jones)- The online video advertising market, seen as a key source of new revenue for Google Inc. (GOOG), won't grow as quickly as previously forecast and most of the growth will be fueled by traditional TV players, according to a new report." "We've been tracking the growth of Sitemaps on the web. It's been just 2 years since Google, Yahoo and Microsoft co-announced the Sitemaps directive in robots.txt, and it is already supported in many millions of websites including educational and government websites! At the WWW'09 conference in Madrid, Uri Schonfeld presented his summer internship work studying Sitemaps from a coverage and freshness perspective. If you're interested in how some popular websites are using Sitemaps, and how Sitemaps complement 'classic' webcrawling, take a look:"
"Mobile search is among the fastest growing uses of the mobile Web. According to comScore, 'the number of people using their mobile device to access news and information on the Internet more than doubled from January 2008 to January 2009.' And a recent ABI Research study finds that 70 percent of respondents reported using their mobile phones to conduct search queries." "If you want to know why Facebook is working so damn hard to open up its site and make the newsfeed and statuses its main currency, why Google and Microsoft are fighting to incorporate real time/super fresh results into their SERPs, and why it seems everywhere you look, people are talking about Twitter, then look no further than these graphs, from Compete and Quantcast." While having great content and an appropriate message are crucial for success on social media news sites, having a quality user help with promotion is essential to build momentum. Contacting and conversing with top users who share similar interests as you can be beneficial in helping to spark your content and get it noticed. "How can Google accelerate your business? This site offers a complete look at how our ad tools can work together to help your business grow. Explore tools by media, 'The Marketing Cycle,' or click below for a look at how they all come together to help sell a virtually unsellable product." Google profiles are the search giant's fiendishly clever attempt to turn your egosurfing pain into their gain. Talks the upcoming Wolram|Alpha launch and the mistakes they've made around PR. Historical notes about Powerset and a mysterious plug for Blekko. "You know when you eat or drink something, and it feels just right in your mouth? That’s mouthfeel. I realized this week that search engines have mouthfeel, too. It’s an intangible thing where they just feel right or not. When I search on Google, it just feels right. On Yahoo, sort of. On Live Search, there’s no mouth feel"
Search Engine Land Documents an improvement to Yahoo! 's results. "Over the last few months we have watched our clients make some dramatic cuts in their paid search marketing programs. Some of them have even pulled back to 2003-2004 levels of spending and scale. In cases like these, it's fair to say we're starting over, and our job over the next year will be to build these campaigns back up to the state where they capture the full opportunity." "You may be forgiven for rolling your eyes at another story about AOL (TWX) yanking back the curtains to present a shiny new notion. Ex-Google (GOOG) ad head Tim Armstrong is AOL's third new CEO since 2006." "Hit hard by the recession, Microsoft (NSDQ: MSFT) reported the first year-over-year revenue drop in its history Thursday—and posted revenue short of analysts’ expectations. The company posted net income of $2.98 billion (33 cents per share), down 32 percent from the $4.4 billion (47 cents per share) recorded during the same period a year ago. However, that included a 6 cents per share one-time charge due to severance payments and investment impairments. Revenue for the company’s third fiscal quarter dropped 6 percent to $13.65 billion, from $14.45 billion a year ago." - note I was not paid to post this.. Microsoft having first loss ever is umm.. kinda NEWS!! Facebook has suffered a brain drain of sorts as it preps for a highly anticipated initial public offering, which analysts speculate could happen this year. Its CFO, Gideon Yu, abruptly left the company this month. Twitter is frequently being mentioned as a takeover target of Google despite a healthy war chest. The trademark for Sift was filed on Jan. 9, according to Tartakoff. He believes Microsoft plans to unveil new online services by the time it launches Windows Mobile 7 next year. Microsoft applied for the trademark "Swivel," in March, "which it said in the application it wants to use for 'operating system software for mobile phones (cell phones)." The amount of traffic that online retailers receive from paid search – i.e. from sponsored or paid for links on search engines such as Google, Yahoo!, Live and Ask - has fallen over the last 12 months. During March 2009, 8.9% of all UK Internet visits to online retailers came from a paid search listing, down from 10.1% in March 2008." "Us Weekly has sold sponsorship of its new Facebook profile to State Farm in what appears to be a first for a media company on the social network website, as well as a first for a company's fan page." - at what point do we realize we are selling adspace on a free account with no SLA? Does Blended Search Optimization Work for B2B? "Since May 2007, we have been hearing about Universal Search and Blended Search. Google was the first of the major Search Engines to unveil blended results as part of their main search results in May 2007 with Universal Search. ASK was second in June of 2007, followed by MSN in July 2007 and Yahoo in October 2007. Yet here we are two years later and the discussions have died down a little. When’s the last time you heard someone in your office discuss blended search? Of course there are exceptions and early adopters, but in discussions that I have with many, they are not yet leveraging blended search optimization. How is blended search affecting B2B websites? Should B2B sites be optimizing for blended search?" "Well, sure, we all got conned into paying way too much attention to Ashton Kutcher, but I think it's pretty clear that Kutcher allowed himself to get punk'd. He drank his own Kool-Aid." "The former Facebook COO (pictured here) is poised to become the CEO of MySpace, replacing co-founder and current CEO Chris DeWolfe. DeWolfe will likely get a title as a special adviser to MySpace in a deal that is still coming together." There has been a lot of speculation on the future of MySpace since today’s news that Chris DeWolfe may step down as CEO. A few disclaimers: First, I’m personal friends with Chris and think the world of him. He is a visionary, a great leader and a true gentleman. In our business, everyone has their run and his has been one for the ages. If he is stepping down, I wish him the best and I salute him for an amazing run. Second, NewsCorp is an investor in Mahalo and has one of Mahalo’s six board seats. Complicating things even more, the new CEO of digital at NewsCorp is Johnathan Miller, who is also on the Mahalo board and who bought my last company, Weblogs Inc."
"Avinash Kaushik speculates that Bounce Rate might be the sexiest Web metric ever. Scott Brinker has a whole blog dedicated to post-click marketing. I believe it was Craig MacDonald at Covario who said bad landing pages are where good leads go to die. And I've been quoted as saying (categorically, no less) that the single most important thing we can do for the client happens after the search click." For companies and individuals alike, there is a major need for reputation management. It’s the reason that conferences have panels specifically on the topic. "Razorfish has announced that Bob Lord, formerly president of the digital agency's east region, has been named CEO of the company. He replaces Clark Kokich, who had been Razorfish's chief executive since 2007 and now will become its first chairman. Lord, who joined Razorfish in 2007, had previously also led its business in Latin America, where the agency represents Terra Latin America, the largest Internet portal in the region. 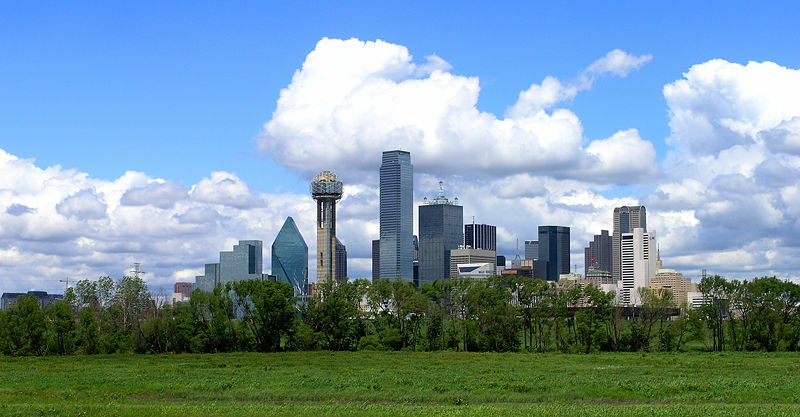 As CEO, Lord will remain based in the New York office of Seattle-based Razorfish. In March, he was named a member of the new digital board of the American Association of Advertising Agencies." "Further evidence has been found to support the increase in social networking activity amid the flat growth of email usage. Comparing usage on Windows PCs of the top web mail sites and MS Outlook to usage of leading social networking site Facebook.com, technology usage metrics provider ClickStream has found that usage of Facebook nearly doubled among adult U.S. Internet users while email usage remained flat." "Click fraud is migrating from search engines to ad networks, where experts are less likely to discover it, according to a report released today. Key findings from the Q1 2009 Click Fraud Index suggest that click fraud traffic from malicious scripted programs increased during the quarter. " - funny.. i wrote an article about this... in.. March of 2006 - Pay-per-click Advertising Can Cost More Than You Bargained For. "A federal appellate court has rebuffed a request from Google's YouTube to dismiss a copyright infringement lawsuit on the narrow ground that the plaintiff in the case, videographer Robert Tur, voluntarily withdrew the lawsuit in order to join a pending class-action in New York." "Thanks to the rapid growth of Web video and social networking, online engagement only continues to deepen, according to a report released Wednesday by The Nielsen Co."
"One of the aims of Facebook's most recent redesign was for brand pages to be more seamlessly integrated into the stream of social interaction on the site. The changes essentially allow brands to assimilate into the general Facebook population by having profile pages like other users, status updates and the ability to pop up in fans' news feeds." "News Corp., owner of MySpace, confirmed late Wednesday that Chris DeWolfe, the social network's co-founder and CEO, will step down. His replacement has not been named." "So, the data is in and it turns out that, at least in terms of traffic, Oprah has been good for Twitter. According to Hitwise, traffic increased by 24% from Friday, April 10th to Friday, April 17th, which will hereafter be known as The Day of Oprah's First TweetTM." Scratch DJ Sues Activision: Is DJ Hero In Jeopardy? "A pair of indie gaming companies may have tossed a wrench into Activision’s plans to piggyback on the success of its Guitar Hero franchise with the upcoming DJ Hero game. Genius Products and Numark Industries, the two companies behind the as-yet-released Scratch: The Ultimate DJ game, have filed a lawsuit in California against Activision and developer 7 Studios for “intentional interference with contract, breach of contract, conversion and misappropriation of trade secrets.”"
- note i wasn't paid anything i just want one of them to finish the game, so i can play it!!!!! Are Shortened URL Services Sustainable For SEO And Social Traffic? "as the use of short URLs has become mainstream, and will not likely be going away any time soon, marketers should be asking themselves if services based on a third-party domain offer a sustainable long-term approach for driving traffic through social networks, reaping search benefits filtering through to their own domains. Here are some issues marketers should be aware of when programmatically utilizing a short URL service on a third-party domain:"
From the article: "An update to my post earlier today that News Corp., under new CEO of Digital Media Jonathan Miller, is looking to replace MySpace CEO and cofounder Chris DeWolfe"
Asked about discussions with Microsoft, Bartz had no comment. Later on she did manage to drop the F-word, though (but quickly apologized for the slip). "Microsoft and Yahoo have been busily ferreting away on talks about search and advertising partnership possibilities in what one person close to the situation described as “hot and heavy.”"
Google Me. No, Really! : "Google() has introduced a new feature to give you a bit more control over what comes up when someone searches for your name – sort of. Now, when you search for a name on Google, you’ll get a list of the Google Profiles that users have setup under that name at the bottom of search results." The author JG Ballard, famed for novels such as Crash and Empire of the Sun, has died aged 78 after a long illness. http://www.allmovie.com/work/crash-136350His agent Margaret Hanbury said the author had been ill "for several years" and had died on Sunday morning. Caching? faster status notifications? What? Time.com's 2005 annual survey of the Web's most useful and interesting sites spotlights both great newcomers and veterans with new tricks. Here are 10 of the best. The teenager who takes credit for the worms that hit Twitter earlier this week has been hired by a Web application development firm and on Friday released a fifth worm on the microblogging site, he said. In the old days, self-important people use to carry calling cards. Now we have Twitter, Facebook and other social media sites to turn us all into mini-celebrities. Oprah on Twitter: This Is What We Were Waiting For? Are You Measuring Real Success? 1. PPC is running with no conversion tracking. 2. There are no analytics in place at all. 3. Analytics are in place with no goals. 4. No general understanding of what should or can be measured." Twitter is booming, and Google would be "very happy to pursue" an advertising partnership with the microblogging service. What is your experience in Social Media? What is the experience of the "Social Media Expert" you just hired to be the face of your company? The short URLs are easy to remember and share. But on the other hand it may redirect you to adult sites or they may contain malware or spams. The article lists 8 ways to identify real web addresses from almost all tiny URL services available. "Despite company marketing budgets on hold or in a state of ambiguity, businesses are scrambling over social media, trying to figure out how to boost sales and keep the customers they have." Are the Social-Media-Inspired PR Crises Starting To Fall Like Domino's? "I probably don't even have to recap this, but, in case you've been spending your time instead watching Susan Boyle sing on 'Britain's Got Talent,' you must know that two Domino's employees (well, they used to be Domino's employees) uploaded a video of themselves doing disgusting things to the ingredients before putting them in people's food, and this created a crisis for Domino's." Fortune 500 companies are spending a fortune on paid search ($51 million per day) and they're ranking in the top 100 natural search results for only 21% of the keywords. Google Sitelinks now in one line. "Until now, sitelinks have only ever appeared on the first search result, and so at most one site could have sitelinks per query. We're now launching an expansion of sitelinks: a single row of links can now appear for results that didn't show sitelinks before, even for results that aren't in the first position." Twitter Name - What Should You Pick? Twitter Name - something you want to think long and hard about, Jack Leblond throws out some criteria. "Starting this week, you may start seeing a new referring URL format for visitors coming from Google search result pages. Up to now, the usual referrer for clicks on search results for the term 'flowers', for example, would be something like this:"
So you’ve decided to join Twitter…now what? You’ve no doubt been searching the web looking for reasons to be on Twitter, and discovered that Twitter isn’t a waste of time, like many people seem to think it is. "Future proofing your SEO means that you operate with one eye on where the industry is going as to ensure your efforts hold up over time. This is a wise move not only from stability reasoning but from a financial one as well. That is to say, there is a cost consideration when we have to go back and adapt entire websites with new tactics that we really should have seen coming. Your SEO efforts should always stand the test of time." "A couple of Domino's employees are suggesting that the chain's subs have a secret ingredient. In a video posted on YouTube last night, two youths identifying themselves as Kristy and Michael besmirch a pair of sub sandwiches and the pizza chain's reputation. Michael inserts pieces of cheese into his nose and waves pieces of salami behind his backside." "Each year the Web Marketing Association names the Best web sites in 96 industry categories as part of the annual WebAward Competition. Here is your chance to stand out from your competitors and win the recognition you deserve while receiving valuable independent feedback on your development efforts." - this is a good competition for websites. "If you like what you've read in the SEO Newsletter, there's more Internet marketing expertise where that came from. Check out SEM Synergy every Wednesday at 3:00 p.m. Eastern and Noon Pacific on WebmasterRadio.fm. Bruce Clay and the other hosts discuss industry news, SEO tactics and marketing trends, while expert guests share their insights on methods, best practices and upcoming events. Check out the show schedule below for a look at recent shows and upcoming topics. If you like what you've read in the SEO Newsletter, there's more Internet marketing expertise where that came from. Check out SEM Synergy every Wednesday at 3:00 p.m. Eastern and Noon Pacific on WebmasterRadio.fm. Bruce Clay and the other hosts discuss industry news, SEO tactics and marketing trends, while expert guests share their insights on methods, best practices and upcoming events. Check out the show schedule below for a look at recent shows and upcoming topics." - THE BEST SEO NEWSLETTER EVER!!!!! Try these simple shortcuts to work smart and faster in Ubuntu and other Linux distributions. In response to a wash of negative Digg allows you to now opt-out of DiggBar. 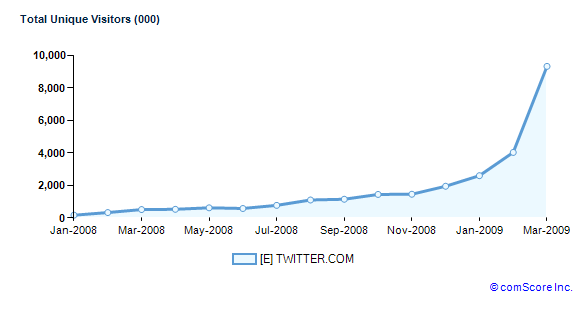 If it seems like Twitter is growing faster and faster each day, that is because it is. ComScore has released its March numbers for the U.S., and it estimates that unique visitors to Twitter.com grew 131 percent between February and March to 9.3 million visitors. No wonder Twitter is more popular than Britney. "Most of us have been in a nice restaurant, maybe at a romantic dinner, where a parent fails to control the actions of a child who is running around like a banshee. In many organizations, organizational 'children' are running free when it comes to email, and their parents aren't paying any attention, or have no idea how to control them." Google announced the release of version 1.5 of the Android SDK for developers. The new version gives developers a bunch of new things to play with, but Google warns that it’s an early version that is still subject to change. "With literally billions of pages in mobile social networking inventory and activity occurring monthly, the mobile platform seems to be faced with the same conundrum as its online counterpart. How do brands find their way into massive hives of activity without being dissed or simply ignored while users go about the more critical process of connecting with one another?" "Nope, this isn’t just a super confusing rehash of yesterday’s story about StumbleUpon buying itself back from eBay—turns out the online auction site’s other confusing acquisition has also been seeking to free itself from its parent and reestablish itself as an independent company." "Really, with multiple SEO tasks we need to tackle daily and all those numerous SEO tools (that might help) you need to know how to effectively organize them. The worst part is that there tools you need almost daily; other tools, instead, come in handy only once in a while, so it is easy to forget about them." Search advertising budgets slid sequentially by 3.3% in the first quarter 2009, but return on investments improved by 10%. The numbers reveal advertisers are reducing the amount they spend to maintain a higher return, according to an Efficient Frontier report. "IM Spring Break, brought to you by IM Broadcast, kicked off with a bang on April 2nd in sunny Deerfield Beach, Florida. The conference, hosted by Dave Snyder, Loren Baker, and Jordan Kasteler, brought internet marketers from around the world together to discuss search optimization, social media, and affiliate marketing. If you happened to miss out on the experience, below are some great videos, photos, podcasts, and posts that cover what went down in Florida." "Back in September, we reported that eBay was attempting to sell off StumbleUpon, the website recommendation service it bought for $75 million in 2007. That didn’t happen. And now the company has been spun off to start life over as an independent startup, backed by new investors and the original founders." How Bad Was Google’s Quarter? "As investors wait for Google to announce first quarter earnings later this week, the question is how bad will it be? J.P. Morgan analyst Imran Khan put out a note this morning predicting that revenues will actually decline 2 percent from last year and will be down 13 percent from last quarter. (His prior estimate was for 5 percent growth). Khan also revised his pro forma EPS estimates down 5.5 percent from $5.04 to $4.76." "NEW YORK (AdAge.com) -- PepsiCo's Gatorade brand today filed a lawsuit against Coca-Cola's Powerade, alleging false advertising, trademark dilution, deceptive acts and practices, injury to business reputation, and unfair competition. The suit, filed in U.S. District Court in New York, takes Powerade to task for its new advertising campaign, first reported by Advertising Age." "In a post dated Feb. 26, 2006, Healy allegedly wrote that Cherie Davis, the mother of the black speed skating champion, had criticized members of the speed skating federation as white supremacists and neo-Nazi genetic mutations. Healy made the statements about Cherie Davis on his blog, Unknown Column, hosted via Google's Blogger service." John Gruber at Daring Fireball is pissed about the diggbar, and wrote some code to share with the world on how to block anyone visiting the site via a Digg.com/ short-url. How meta! HACK THE PLANET!!!! Britain to use ORM on Terrorism in Google. "There are two ways to use SEO to help your organization. One is reliable and effective, the other is a glorious crap shoot that usually fails but is wonderful when it works. I'll start with the second." "Seth Godin explained that the most reliable and highest converting SEO strategy is that of the white page variety. Build a brand and own a unique word. But at the same time he dismissed the concept of most other SEO strategies"
If you didn’t make it to IM Spring Break, then I would really recommend you make it to the next one or Scary SEO, which is put on by the same people. It was definitely worth attending and I will be be trying to make all of them that I can. Good information about Twitter community building. TwitZap is a new web-based Twitter client that focuses on 3 major features, all very neat. ShoeMoney makes some very good points in a very short blog about "False gurus"
StalkDaily or Mikeyy - Be the Early Bird, get the worm..
PaidContent.org Reports.. MSFT is cutting back on it's spend on Search? Just hours after Twitter began removing the first cross-site scripting vulnerability that hit its site this weekend, a new modified strain has been found, and according to F-Secure, it's not the last one we're likely to see over the next few days. What Are A Million Social-Media Followers worth? Companies and celebrities are boasting about the number of fans and followers they've racked up across various social-media sites, which begs the question: Does that kind of following have any financial value, or is it just one giant popularity contest? ***** @brentcsutoras posts a picture worth a thousand words... or follows on #followfriday..
"In 2009, Web analytics managers have a multitude of different tools to select to deploy at their corporation. Sets of tools from industry leaders, such as Omniture, WebTrends, Unica, CoreMetrics , Google, and Yahoo, are among the most popular, while options from smaller players like ClickTracks and Woopra exist as well." - i use MCC.Hitslink.com and I am very happy with the info i get and the support is refreshing. I’ll be honest, of all the different sessions offered at IM Spring Break this year my favorite hands down were the Social Media sessions. If you wanted to know how to use Build a Brand Using Social Media then this session was the one to attend. Jeff Quipp, Brian Chappell and Li Evans were an amazing combo…. Together they were the perfect mixture of How-to, tips, suggestions, visuals….. absolutely all the facts needed to give you a good start in Branding. ShoeMoney Sues current or former Google Employee for jacking his trademarked term!! GO SHOEMONEY!!!!! "SAN FRANCISCO (Reuters) - Like nearly 200 million other people around the world, Yahoo Inc co-founder David Filo has a Facebook account." Jack Leblond donates SEO time to help end Cancer. Google Agency Toolkit: "We know how busy you are planning, creating and measuring success for your clients. That's why we've created this site: your one-stop shop for Google tools to make your job a little easier. Build effective advertising programs, optimize your performance, and uncover market insights using the resources outlined here. And each of these free tools is easy to use, helping you to efficiently support your clients." The Nanny (Shana Albert) provides another colorful summary of one of the sessions from IM Spring Break. Melanie Phung describes in elaborate detail some new improvements to Google's Search Results. Wikipedia founder Jimmy Wales' open source, human-powered Google killer died a quiet death Tuesday, making Wikia.com the latest object lesson in the futility of trying to unseat Google as the king of search engines. Danny Sullivan Goes Off on AP, The Wall Street Journal, the Guardian, Rupert Murdoch and every other whiny newspaper. "Something special happened in South Florida last week. A smaller conference made up primarily of people who consider themselves colleagues unfolded in Boca Raton. Easily one of the most anticipated gatherings of search marketing experts this year, those who made it to IM Spring Break obviously had an amazing experience." Didn't attend IM Spring Break? 23 Reasons You Should Have. The problem with AB 178 is that it unjustly categorizes thousands of California’s small businesses that are involved in online advertising for the out-of-state-companies as the “physical presence” that California needs to assign the nexus. HTML 4 SEO Best Practices for HTML Authoring: "Below is a listing of all HTML 4 Elements that you as an SEO Consultant will be involved with at some point during your tenure. You should be familiar with the various HTML Elements and HTML Attributes that are available to you for on page SEO techniques." - a really comprehensive list of HTML you should know. Social Media Professional Chris Winfield gave a great presentation at IMSPRINGBREAK... Here is Shana Albert's detailed recap. MediaPost Publications Google Loses Round In AdWords Lawsuit 04/03/2009: "A federal appellate court handed Google a defeat today in a trademark lawsuit stemming from AdWords ads. The 2nd Circuit ruled that allowing a trademark to trigger a search ad is a 'use in commerce.'"